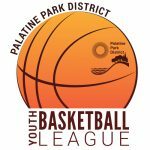 Palatine Park District’s Youth Basketball League, presented by Arlington Toyota​, partnered up with KIND Snacks​ this season to introduce the PLAY KIND Sportsmanship program. At the conclusion of the season, 11 sportsmanship awards were given out to players who best demonstrated good sportsmanship characteristics such as, offering a hand to injured players on the opposing team, retrieving a stray ball of the opponents, clean fair play with no rough or malicious fouls, maintaining a positive attitude, showing respect to referees and coaches, and cheering for teammates. 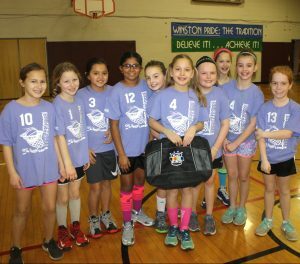 The 2016-2017 Youth Basketball League has 800-850 players in the program each year and runs from November through March for 3rd-8th graders, and January through March for 1st-2nd graders. For more information, check out our Athletic Leagues or contact Todd Ranum at 847.496.6238 or tranum@palatineparks.org. For sponsorship opportunities, contact Julie Selof at 847.496.6246 or jselof@palatineparks.org.